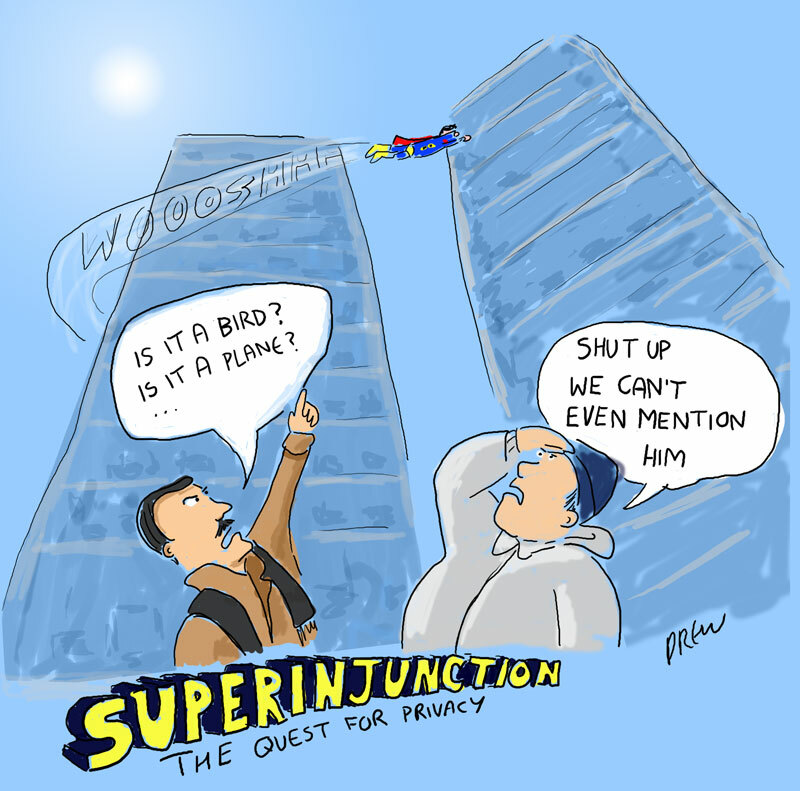 Back from my Easter break with a cartoon about Superinjunction the secretive superhero who everyone knows exists but we have to keep his identity secret or get locked up. Super-injunctions is that what judges really call them or it is just media spin? I can't imagine a top judge saying "Mr Unfaithful Footballer, you already have an injunction but now I'm going to grant you a SUPER-injunction.!!"